What is the right way to roll your toilet paper — in front or behind? Science has yet to answer that question (or does it) but new research out of UBC’s department of mechanical engineering does wipe away some of the mystery behind the science of toilet paper. Kui Pan, a PhD student at UBC along with Srikantha Phani, an associate professor in mechanical engineering, and Sheldon Green, a professor and department head of mechanical engineering — developed a mathematical model for a process known as creping, the process that gives toilet paper, tissues and paper towel their characteristic softness, absorbency and stretchability. Have you ever tried wiping up a spill with lined paper? How about blowing your nose with a newspaper? Or wiping your…? Well you get the idea — toilet paper, tissue paper, and paper towels aren’t like other paper. They are softer, way better at absorbing fluids and stretch much better than the paper you use in class or the paper the The Ubyssey is printed on. All of those qualities have one process to thank — creping. And creping is a surprisingly simple process. Wet paper (Phani said it can be up to 90 per cent water) is attached to a heated, rotating metal cylinder with a light adhesive coat, along with other chemicals. The spinning, heated cylinder dries the paper before it runs into the creping blade, also known as the doctor blade. The blade removes the paper from the spinning metal cylinder (which is spinning at around 80 kph) and causes the paper to crinkle (see the video below). A high speed view of paper going through the creping process. Pan, Phani and Green built a two-dimensional mathematical model of the creping blade — the first math model for making toilet paper. At a glance, it may seem like a strange thing to build a model for but, as Phani explained, no one has ever studied the process from an academic perspective and even though the process isn’t new, it isn’t well understood. Math could build softer, more absorbent and stronger poo-paper. Who wouldn’t want that? Their model also exposed the physics of creping. The team found that the angle of the creping blade — the blade that removes the paper from the metal cylinder — is very important in determining the the microscopic structure of the paper. The pulp used in the paper, as well as the heat of the cylinder and the chemical used, also affect the paper’s properties. The model predicts the microscopic structure of the paper depending on parameters like the angle of the blade, but the team isn’t sure how these microscopic properties relate to macroscopic ones like softness. They hope that building the model into a third dimension could answer some of those questions. A question that is central to the debate on toilet paper (at least in the mind of an underpaid, student newspaper science editor) is why softer and more absorbent paper is always so expensive. “It’s absolutely more expensive to make more absorbent paper. It will typically require more valuable furnishes and possibly a slower process,” explained Green. “And more energy is consumed,” added Phani. Softer paper requires the metal cylinder to be heated to a higher temperature. But your scorn for high super-soft-and-absorbent toilet paper prices may not be completely unwarranted. “It is [more] expensive, but it may not be as expensive as they are charging,” Phani joked. 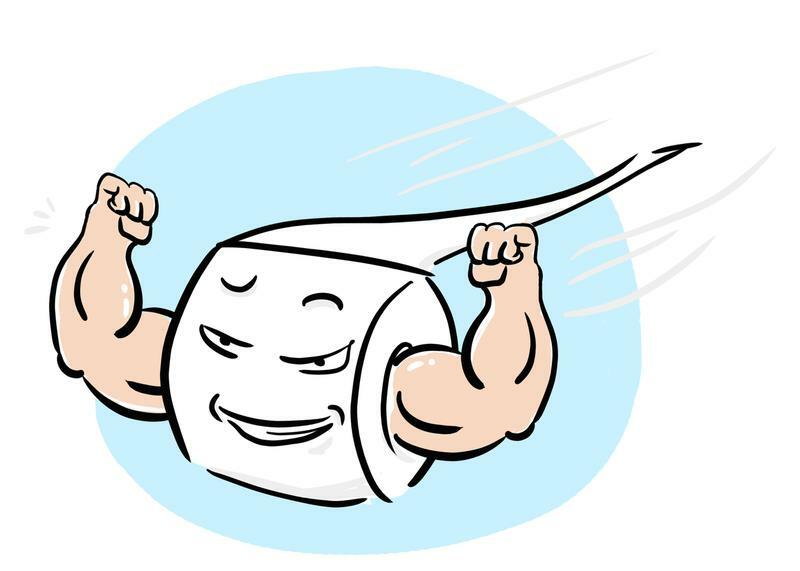 The softest and “finest quality” tissue grades, according to Green, are a result of something called “explosive bulk.” Green explained explosive bulk with his Persian cat (which was, sadly, not in attendance at The Ubyssey’s interview). Persian cats have long hair that tends to form mats. Ideally, to remove the mats, you are able to pull apart the hair without pulling the hair out of the cat. “The paper is sort of like a matted cat if you can separate out the individual strands but without ripping the hair out,” said Green. Explosive bulk is like an unmatted cat — the paper fibres are pulled apart from each other but not to the point that the paper falls apart. This highlights a limitation that the model shows. You can’t have “infinitely soft” paper, as Phani puts it, as paper gets softer it gets weaker. Phani and Green hope the model will expose ways of making paper stronger and softer, with less of a trade-off. “This is a wonderful example of engineering,” explained Green. “You asked ‘does this model allow us to produce the ideal sheet?’ and in engineering there is no such thing as an ideal. For each application, there is better and worse but there is never an ideal." The work was originally funded by NSERC but Kruger Products, a tissue manufacturer, and Solenis, a creping chemicals manufacturer, have since become involved as well. The team is also working with FPInnovations, an industrial research organization.